London-based tech start-up Rewired GG is no longer focusing purely on AI and robotics, the firm the adding esports into its roster of potential interests. 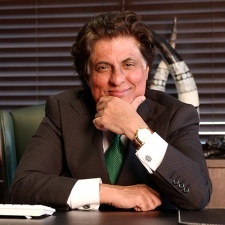 As reported by GamesIndustry.biz, tech billionaire Tej Kohli (pictured) has added $57m (€50m) to this firm - one of his previous investments - with the aim of funding pro-gaming. Furthermore, Esports Insider MD Sam Cooke has been appointed as an adviser to this company. This is likely one of the largest investment funds available in Europe for the pro-gaming sector to date. "Esports has huge potential and could rival traditional sports like football, tennis and basketball in terms of cultural impact and viewing figures," Kohli said. "I have seen first-hand through my son the passion many young people have for the sport and the growing professionalism of the teams, players and commercial partnerships. "I believe that with the right mentoring and investment, Europe will soon play host to the best players, teams and commercial opportunities in global esports. "Esports is the most disruptive innovation in world sport and I am excited to be able to help it thrive this side of the Atlantic."